Flemish Community Day, also known as the Day of the Flemish Community, is observed in Belgium on July 11. It commemorates the 1302 Battle of the Golden Spurs and celebrates Flemish culture. Belgium as a federal state comprises three constitutional cultural and linguistic communities: the Flemish Community, the French Community and the German-speaking Community. Each of these communities has its own government, capital, official language, flag, anthem and celebration day. 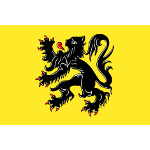 Flemish Community Day is celebrated on July 11 to commemorate the Battle of the Golden Spurs, also known as the Battle of Courtrai. The battle was fought between the forces of the County of Flanders and the Kingdom of France in 1302. It resulted in Flemish victory and ensured the de facto autonomy of Flanders. The official holiday of the Flemish Community was established in 1973. It is observed in five provinces of Belgium (Antwerp, Limburg, East Flanders, Flemish Brabant, West Flanders) that constitute the Flemish Region. Flemish Community Day is a non-working holiday for government institutions and public employees in Flanders. However, private employers are not required to give their employees a paid day off.